Unfortunately, there are no formal tours planned for the foreseeable future. 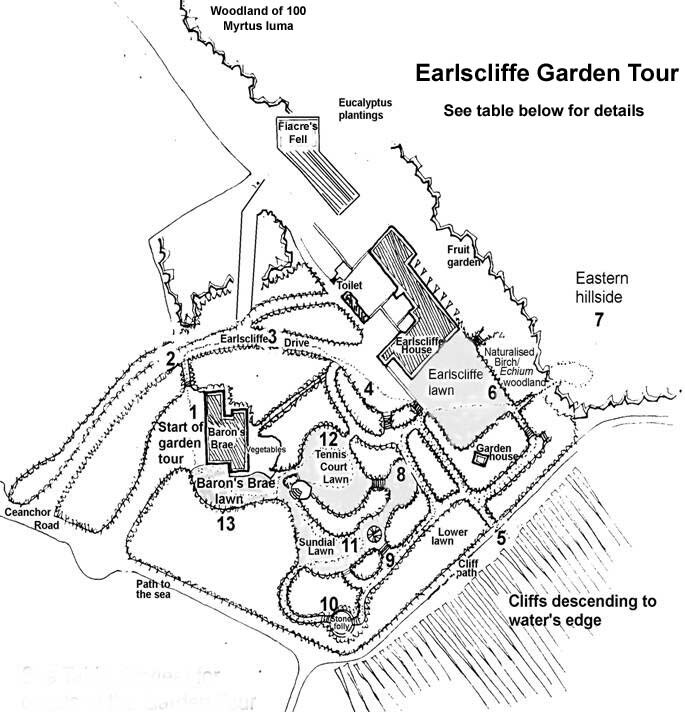 However, to give you an idea of what can grow at Earlscliffe, the following is a plan of the garden with a quick virtual tour of the plants. Some interesting plants at thirteen locations in the garden are listed below.